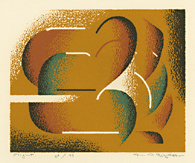 The Orange Point ---c. 1940, Serigraph. Edition 54. Signed, titled, and annotated Ed/54 in pencil. 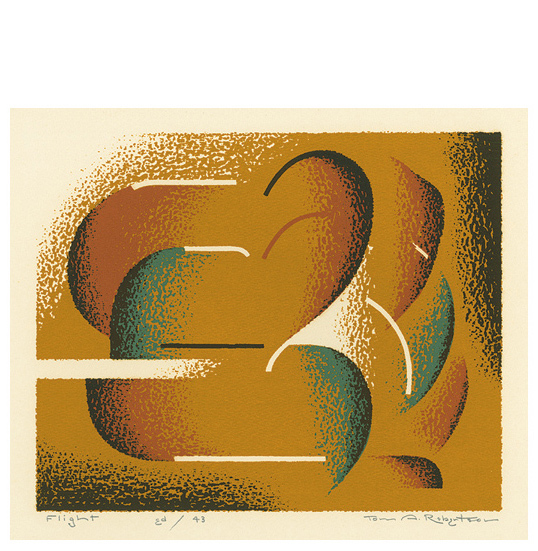 c. 1940, Color Serigraph. Image size 10 1/2 x 7 inches (267 x 178 mm); sheet size 13 x 12 1/2 inches (330 x 318 mm). A fine impression, with fresh colors, on buff wove paper; full margins (1 5/8 to 2 3/8 inches), in excellent condition. 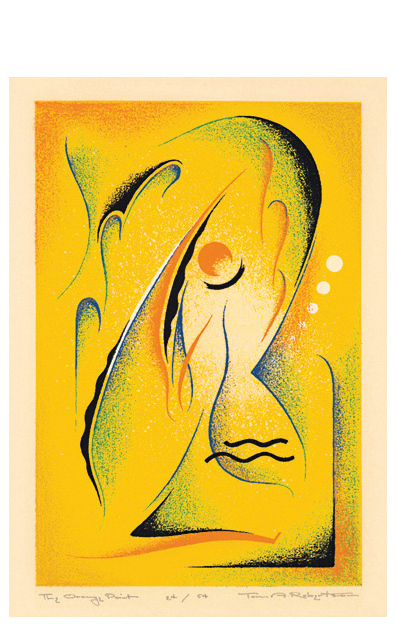 Printed in seven colors from as many screens, each prepared by drawing with a litho crayon on a textured surface. The lightest areas of the image are printed, so that they appear whiter than the paper color. Exhibited at the 15th annual New Orleans Art League membership exhibition, 1941. Reproduced in A Spectrum of Innovation: Color in American Printmaking 1890-1960, David Acton, 1990; with extensive commentry by the author. 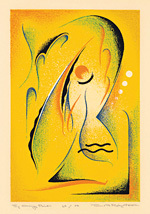 Edition 43. Signed, titled, and annotated Ed/43 in pencil. Image size 7 3/4 x 9 3/4 inches (197 x 248 mm); sheet size 11 x 14 7/8 inches (279 x 378 mm). A fine impression, with fresh colors, on heavy cream wove Strathmore drawing paper; full margins (1 1/2 to 2 5/8 inches), in excellent condition.